In this step, you will open the example model that was shipped with the Logical Modeler. 1. Click the Open button on the toolbar or select the File menu and choose the Open… option. Note that only files with the '.ldm' suffix are displayed. 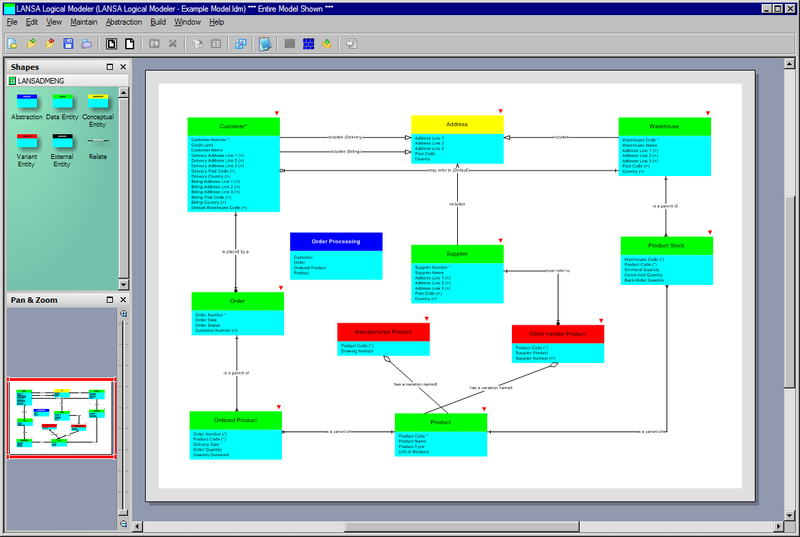 These are LANSA Data Model files. 2. 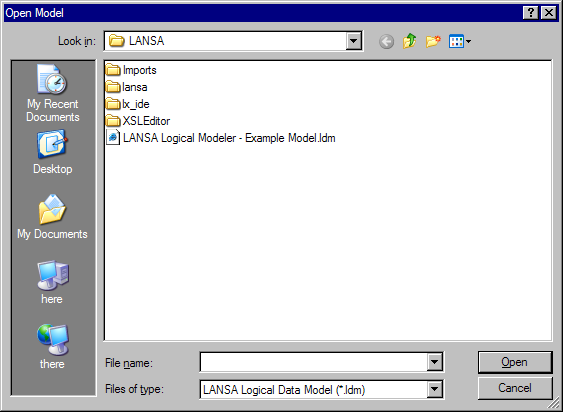 Open the file named 'LANSA Logical Modeler - Example Model.ldm' by double-clicking its entry in the list or by selecting it and clicking the Open button.